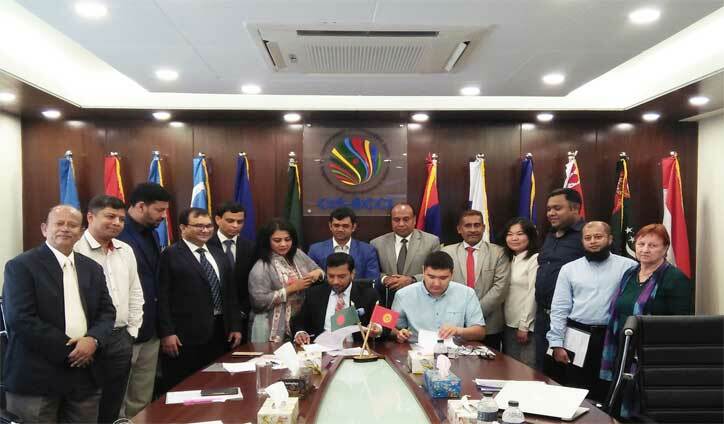 Staff Correspondent: Commonwealth of Independent States - Bangladesh Chamber of Commerce & Industry (CIS-BCCI) signed an agreement with Global business platform Qoovee Holding to build cooperation relations with Business Community of Bangladesh and CIS region. The agreement was signed at a meeting on the prospect of establishing business relation of Bangladeshi businessmen in CIS countries at CIS-BCCI Chamber in city on Tuesday (8 May 2018). The Cooperation Agreement was signed by CIS-BCCI president Mr. Md. Habib Ullah Dawn and Qoovee founder president Mr. Turat Bulembayev. According to the agreement, CIS-BCCI would be co-organiser of Global Online Expo of Qoovee to be held in April 02, 2019 to July 09, 2019, Qoovee Online Platform would be used by CIS-BCCI Members involving buyer and suppliers, Qoovee would act as a guarantee regarding assurance of buyer’s-seller’s payment and CIS-BCCI would be Qoovee’s valid representative in Bangladesh. Qoovee.com is a global online business platform where the wholesale products or service suppliers and buyers meet to trade. It is one of the top 10 B2B platforms in the CIS region that has more than 15,00,000 visitors per month and tens of thousands of wholesale buyers. Wholesale buyers from different countries order products directly from 19,000 suppliers from more than 50 countries that are within the Qoovee.com. Ms. Mairam Kanatbekova, Director, Qoovee, Mr. Md. Lokman Hossain Akash, Sr. Vice President, CIS-BCCI, Mr. Mohammad Ali Deen, Vice President, CIS-BCCI, Mr. Mahbub Islam Runu, Director, CIS-BCCI, Dr. Lokiat Ullah, Director, CIS-BCCI, Ms. Helena Jahangir, Director, CIS-BCCI, Mr. Jadab Debnath, Director, CIS-BCCI, Mr. Md. Raihan Azad, Director, CIS-BCCI, Engr. 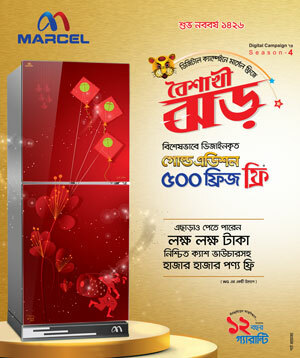 Mehedi Hasan, Director, CIS-BCCI, Mr. Mustafa Mohiuddin, Secretary, CIS-BCCI among others attended the function.